Pineapples are easily available in my country as it thrives in tropical climate. It resembles a large, pinecone, hence its name. Its shape is oval to cylindrical with a tough, spikey, waxy rind. Its tough skin has many hexagonal sections (fruitlet) that looks like scale. On top of the fruit is a “crown” of thick pointed leaves with spines along the edges. Be very careful when handling this part of the pineapple! When ripe, its flesh is yellowish in color and gives out a nice fragrant aroma. It is a very fibrous fruit, is sweet with a tinge of acidic taste to it. Pineapples do not ripen much more once harvested, so it must be harvested when it is ripe, and quickly distributed to the consumer. This is why pineapples are commonly canned so that they last a little longer. (But please avoid canned pineapples as these are usually soaked in sugar water! 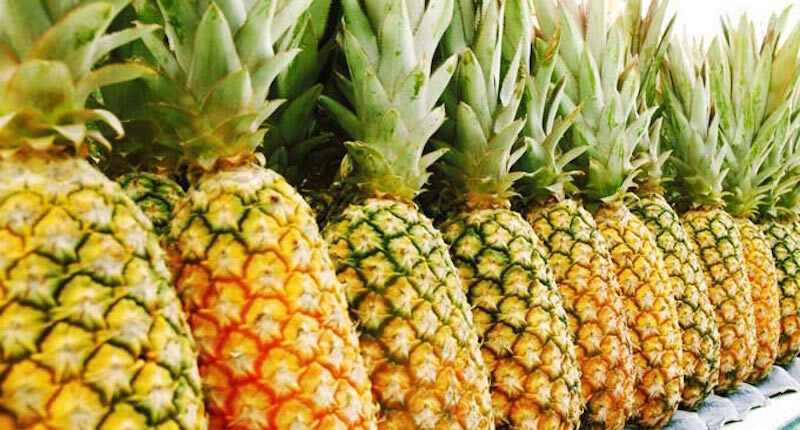 Related reading: This woman cured her stage 4 breast cancer by eating 3 pineapples a day! Cutting a pineapple is a hassle for some. 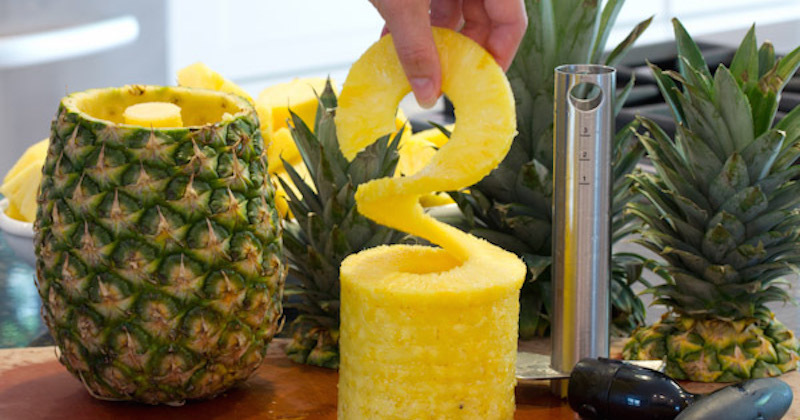 Get this pineapple corer and make things easier and less messy. With this excellent tool, you will be eating more pineapple and benefit from its awesome anti-inflammatory properties! And, don’t throw out the pineapple core, it is highly dense in nutrients! You can cut up the core in smaller pieces to add to your cooking to add sweetness (I put them in my fried rice! ), or simply save them for your juicing!